The company said in its earnings report on Wednesday that it's developing foldable displays, one of the components that could be used in a phone that folds up. That was the third time Samsung mentioned foldable OLED displays in its earning call. This is clearly an area of interest for Samsung, and a way it plans to pull ahead of Apple and other phone makers. Foldable displays seem to differ from flexible displays, which Samsung already uses in phones with curved screens like the Galaxy S8 and Note 8. Flexible displays can curve and bend, but don't currently fold. What Samsung is describing now is new technology. A foldable display in a foldable phone seems like the most logical fit. Samsung didn't immediately respond to a request for comment on whether the foldable display will be used in its foldable phone. Foldable phones are a hot topic in the phone world, with years of development and what-if concept pieces popping up from time to time. Foldable phones could increase a device's usable screen space while keeping its physical footprint small, and shake up a design that's grown stale. Samsung wouldn't be the first to make a foldable phone. If it succeeds, you can thank ZTE, a Chinese company that released the Axon M late last year. That device has two screens that fold open on a hinge like a mini tablet or book. With this feature, it can do unique things like combine the two screens into one big display or use them separately to multitask. 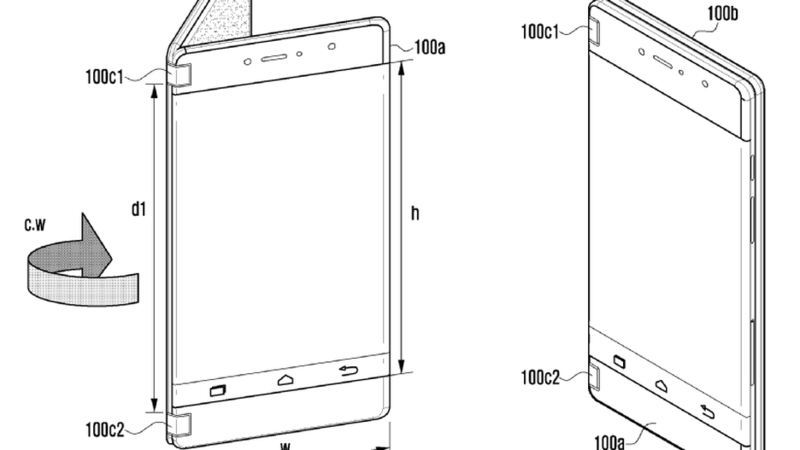 Samsung has submitted a patent for a similar phone design that opens and folds. 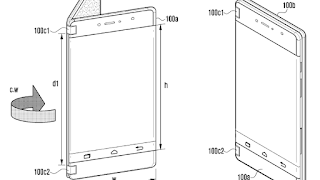 It also applied for a different patent where the screen can fold in on itself. This second design would support the foldable OLED panel that Samsung says it's working on.